The CNX pc3000 PC Adapter works with Fluke CNX sw3000 software to wirelessly manage and communicate with Fluke CNX modules. Fluke CNX sw3000 is a Windows-based software utility that allows real-time display measurements from up to 10 CNX modules per PC adapter. Real time graphing of individual module readings can also be done. The software also enables the user to download logged data and customize CNX module parameters and settings, including the module name, logging interval and duration of logging session. Software Requirements: Fluke CNX pc3000 must be connected to the USB port in order to enable communication between CNX modules and software. Sw3000 will support up to two pc3000 PC Adapters. OS Compatibility: Windows 7 or later. Download: Fluke CNX sw3000 software can be downloaded from the "more info" tab on this page. 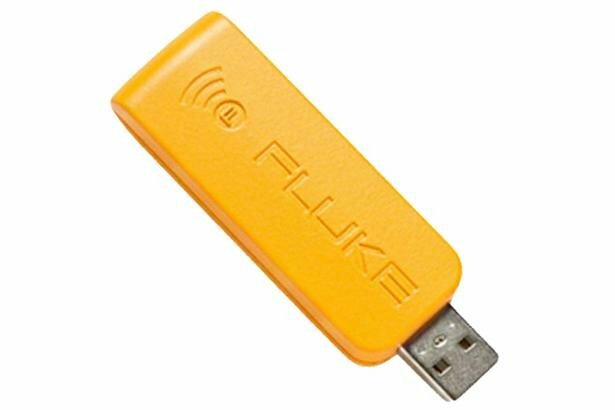 Fluke CNX wireless test tools work together to help you troubleshoot faster. The CNX pc3000 PC Adapter and Software help you understand the information you measure. No more writing down data as the CNX pc3000 PC Adapter and Software wirelessly collects up to 65,000 sets of time stamped min/max/avg readings from CNX remote modules. Software can display live readings from up to 10 modules simultaneously. Allows custom logging intervals and custom names for modules. Includes Windows SW3000 software.